Once you’ve made the leap and committed to keeping a blog on your website, it is essential that it is maintained and updated regularly. The only thing worse than having no blog is to have one with posts that are months old. This can be a daunting process if you approach blog writing on an ad hoc basis – throwing together a few paragraphs on whatever topic you happen to be thinking about when you find the 20 minutes in your day to devote to your blog. 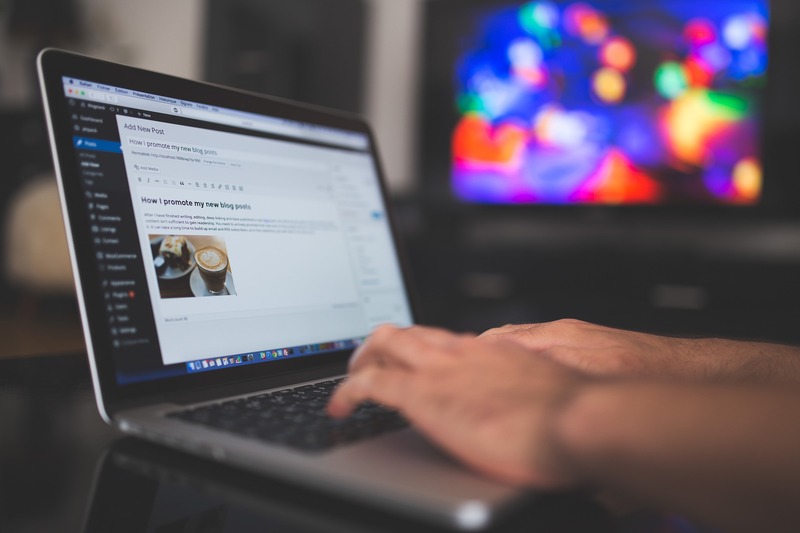 Without a strategic plan that consistently conveys your core message and connects to your target audience, the enthusiasm you have when writing your first blog post can quickly wane. In the beginning, you are probably teeming with ideas about what you want to share with your audience. As you start writing posts, however, you’ll quickly burn through your initial backlog of topics and find yourself scrambling to come up with ideas. In addition, researching and writing blog posts can be time and labor intensive. Whether you’re blogging for business or pleasure, the task can be daunting when your time is split between your blog and other obligations. In short, the planning process becomes very important where your blog is concerned, especially if you don’t want to become an absentee blogger and lose the interest of your audience. Here are some guidelines that should help you to effectively plan your posts. The place to start is by determining how frequently you will post. Some of your favorite blogs probably post multiple articles daily. You may strive for this ideal to keep readers coming in and encourage advertising dollars. If your blog is your business, this could be a manageable goal (although it pays to remember that blogs posting multiple times each day likely have a professional writing staff on the payroll). If, on the other hand, you’re penning a blog in your spare time or as an online extension of your business, you might not have time for this level of blogging activity. You may be able to manage only one post per day, or perhaps only one or two each week. The more frequently you post to your blog, the better chance you have of maintaining readership. In lieu of frequent posts, though, you at least need a set schedule for posting so readers know when to check back for new content. Try to post on the same days and at the same times so your audience knows what to expect. That said, it’s also important to stay flexible. Remember that you are working off of a guideline. If important events pop up and take precedence over your scheduled posts, you need to adjust accordingly. Don’t be a slave to your schedule. Evergreen content is text that can be repurposed from time to time because it is always relevant. You will certainly want to post content that is timely and related to current events whenever possible, but for times when you are unable to create new, fresh content, having evergreen articles on the backburner can be useful. Suppose your blog is concerned with fashion. An evergreen article might discuss the basic wardrobe staples every woman should have. This topic is always relevant and the content is unlikely to change dramatically over time. However, you can post or repurpose such an article any time. You can also use seasonal content in a semi-evergreen capacity. In terms of a fashion blog, you could do articles annually about seasonal trends, what to wear to holiday gatherings, and so on. All you have to do to repurpose such articles is swap in current information. You will have to write new content, but you can reuse the topic, saving you some time and helping to fill in your posting schedule. Posting timely and relevant articles to your blog will not only interest current readership, but it could also help you to bring in new visitors and make conversions. In order to do this you need to pay attention to what is happening in the world and on the web. You can start by subscribing to news feeds, especially those aimed at your industry, and following competitive businesses and blogs to see what they’re talking about. You don’t necessarily want to regurgitate what everyone else is dishing about, but you do need to stay up-to-date with industry happenings, and knowing what others are talking about could inspire original topic ideas. Naturally, you should also be aware of what’s trending online (topics, keywords, etc. ), even if it has nothing to do with your industry or the focus of your blog. If you want to promote your blog posts, the best way is to include trends. You just need to get creative in order to make sure the topics and keywords you include are relevant to your readers – and that you don’t raise the ire of Google and other search engines with improper usage. One great way to infuse some life into a blog that seems to be stuck in a rut is to take advantage of crossover opportunities. You’ll have to find options that make sense for your blog, but a good bet is to follow adjacent industries in the hopes of finding topics, trends, or content that might interest your readers so that you can tailor it to your audience. If you’re managing a business blog you could also consider cross-promotions. For example, you can bring in guest writers from other blogs to trade services. They’ll create a series of posts for your blog and you can do the same for them, increasing the reach of both bloggers, working to build your blog audience, and bringing a fresh voice and perspective to your blog. When you’re having trouble coming up with blog posts, one of the best things you can do is turn to the online community. There are a couple of ways to do this. When readers sign up for membership with your blog, you can ask them to enumerate topics they would be interested in reading about. You might also set up a virtual suggestion box on your blog for anyone to write in with topics, or you could simply pen a post annually asking for reader input. You can even open your blog up to reader content, encouraging readers to interact and weigh in on topics by voicing their own opinions so that you can include the best responses. Planning blog posts can be a frustrating and disheartening process, especially when you’ve been managing your blog long enough. But with a sound strategy for finding new content to write about, a set schedule to keep you on track, and community support, planning your forecast for blogging can be a lot more fun and fruitful.